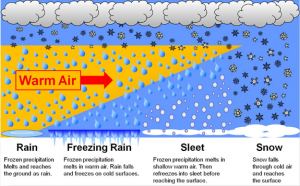 What The Heck is Freezing Precipitation and How Does It Happen? 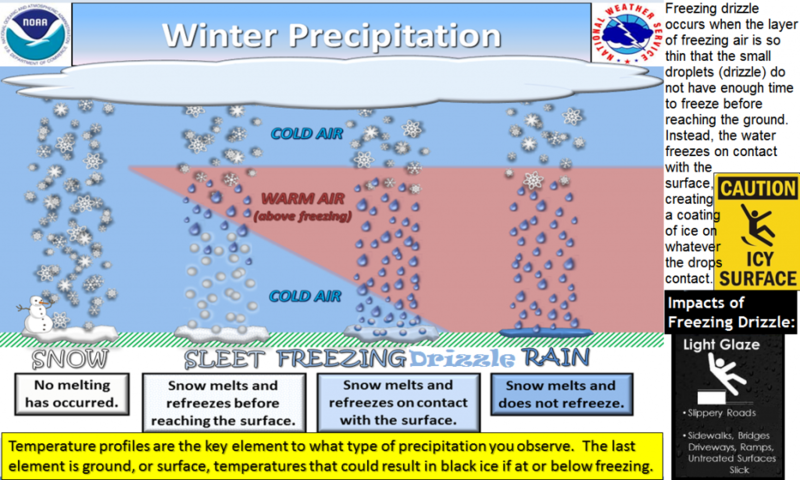 Most areas near the mountains along the front range do not experience freezing precipitation too often, the reason being is that most often our atmospheric conditions are not conducive to such things. You’ll notice in the image above how we can get certain types of precipitation. Along the front range and Palmer Divide we usually see snow, rain and sometimes sleet. What type of precipitation we get depends entirely on the atmosphere and how the temperature changes with altitude and how much moisture we have near the surface. But just how do we know what the atmosphere’s conditions is in different heights anyways? That’s where our good friend, the Skew-T diagram comes in. This chart is created twice a day when the National Weather Service releases a weather balloon with scientific equipment into the air. 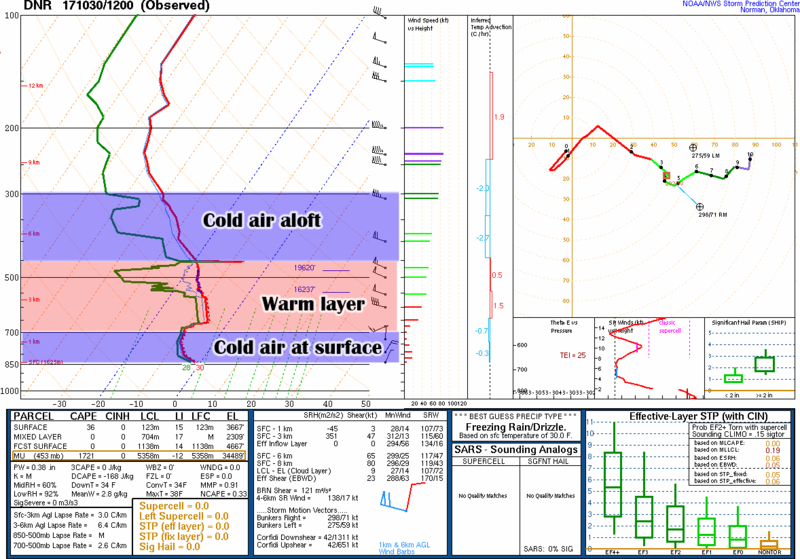 Let’s take a look at this sounding from Denver. Here’s today’s (10/30/2017) 5AM sounding for Denver. Noticing the pattern? Notice how the Skew-T (with some of my notations for temperature) lines up pretty well with the “Freezing Rain” atmospheric profile above. Another key ingredient here is the red (temperature) and green (dewpoint) lines are very close together at the surface (near the bottom of the Skew-T) This means the atmosphere is nearly saturated (lots of humidity in the air) and is an important step because if the atmosphere were cold and dry, precipitation falling would have a better chance to re-freeze into ice pellets or snow. 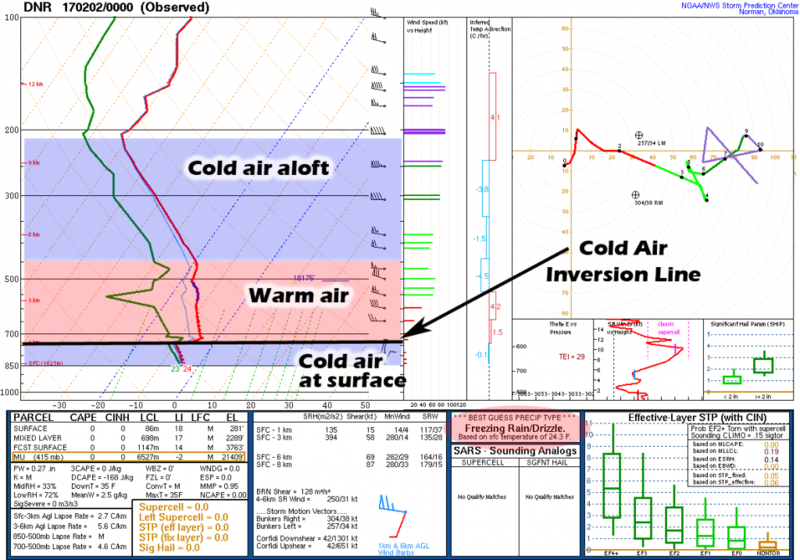 Today’s atmospheric setup is textbook for freezing rain (drizzle) with shallow upslope forming precipitation in the warm layer. 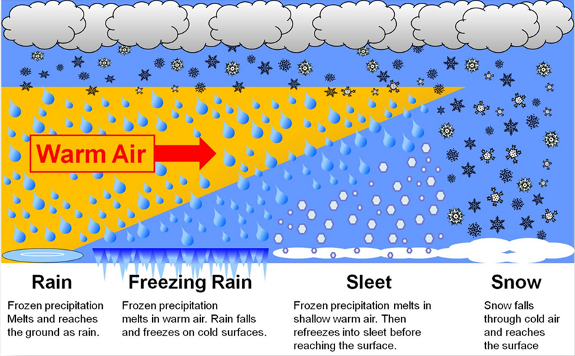 That precipitation falls as rain but then encounters a cold layer of air at the surface, because the air is saturated freezing into snow or sleet may not happen. 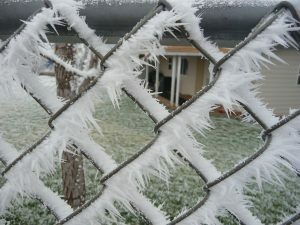 This means the water is super-cooled (below freezing but still in a liquid state) and freezes on contact with a surface. 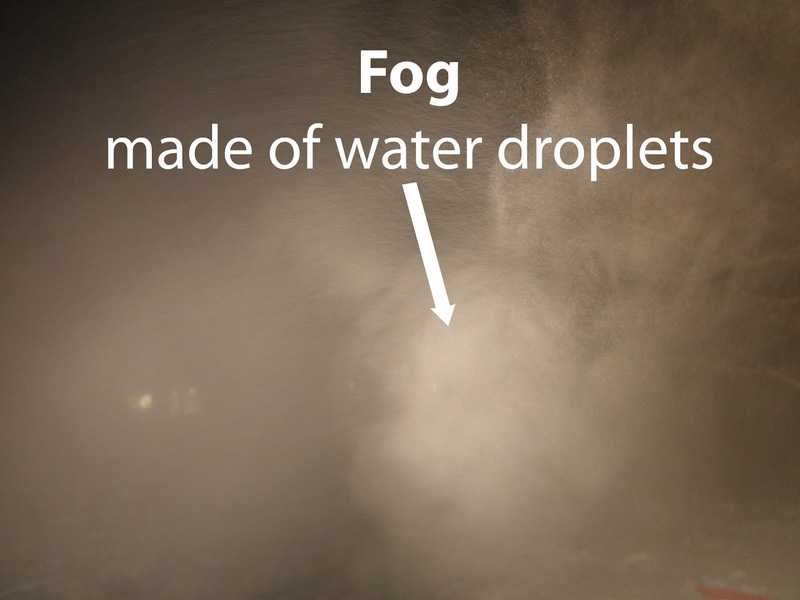 Freezing fog has the same principle as freezing rain but the process for it happens near the surface rather than falling through the atmosphere. 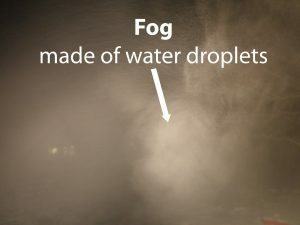 At the end of the day, what fog basically consists of is water droplets, in essence its a cloud. Once it hits that surface it will begin to freeze and form ice. This is why it can make travel conditions treacherous, once the roads cool enough they can very quickly flash freeze and begin to accumulate ice. Unlike snow, this ice can be invisible and catch people unaware, often leading to bad crashes. Why Don’t We See This Stuff Very Often? As I said above, it takes very specific conditions for us to see freezing precipitation along the front range. It’s not enough just to have the cold air aloft, warm air in the middle and cold air at the surface. These layers need to be certain heights and any variation can dramatically change the precipitation we see. Additionally, we need the lower cold layer of air to be saturated with the proper warm and cold air layers in place. All of these things need to happen perfectly and often we are missing one or two of these closer to the front range, most of all because the air at our surface is usually much drier than areas on the Eastern plains. One more look at how we get different types of precipitation based on atmospheric temperatures.